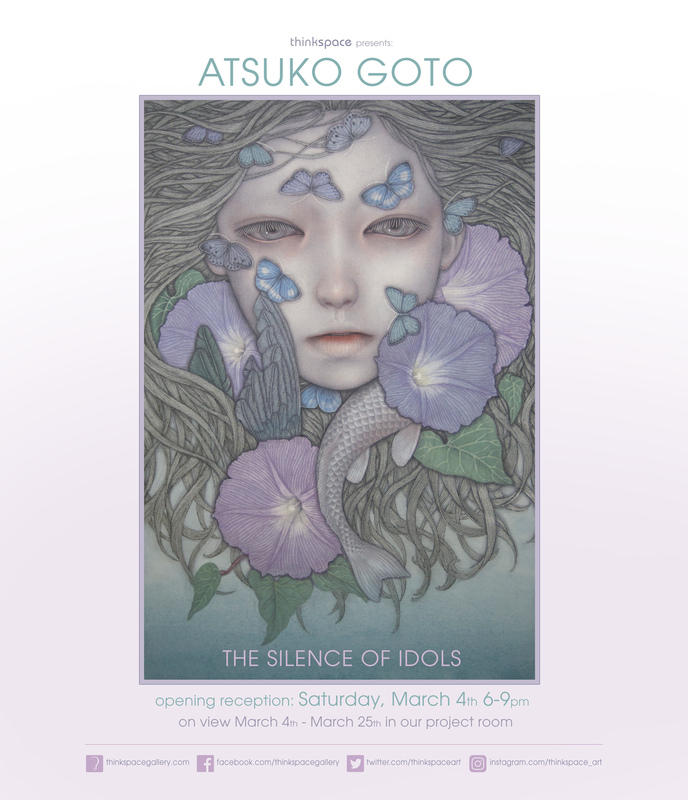 On view in the Thinkspace project room are new works by emerging Japanese artist Atsuko Goto; The Silence of Idols is the artist’s first solo project with the gallery. 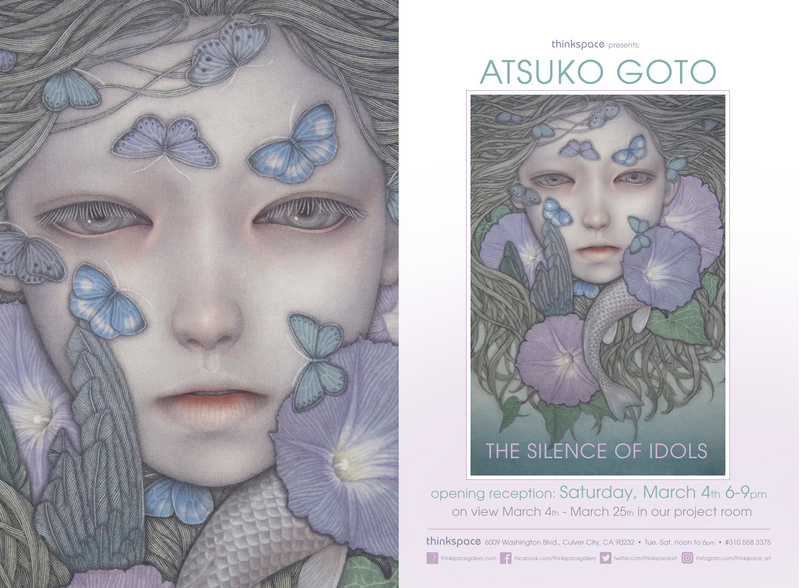 A graduate of the Tokyo University of the Arts, Goto also studied at the National School of Fine Arts in Paris. The artist creates beautifully melancholic images of delicate figures cloaked and merged with natural elements, everything from flowers and butterflies to insects, birds, and fish. 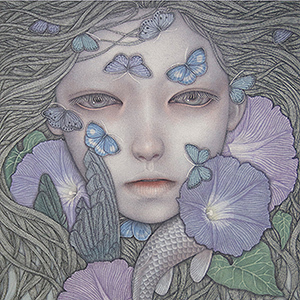 Her muted palette is as ghostly as haze, achieved through the unique application of diluted pigments made from semi-precious lapis lazuli, ink, and gum arabic applied to cotton.